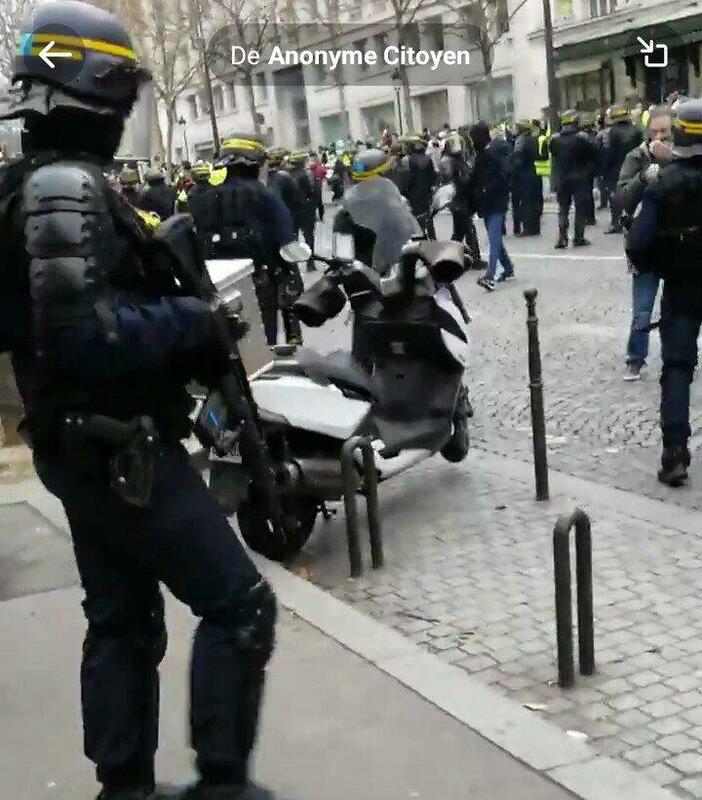 The Gilet Jaunes began as a demonstration against a climate change-linked fuel tax, which quickly morphed into a general anti-government protest against the Macron administration and the world's highest taxes. We're sure France's plege to send 1 billion euros to rebuild Iraq will help calm them down. 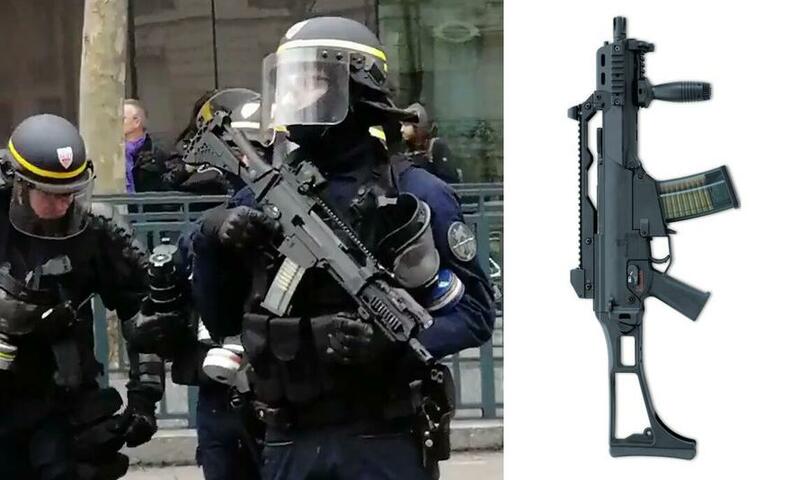 Yellow Vest demonstrator Gilles Caron told the Mail "The CRS with the guns were wearing riot control helmets and body armour – they were not a specialised firearms unit," adding "Their job was simply to threaten us with lethal weapons in a manner which is very troubling. We deserve some explanations." Former French conservative minister Luc Ferry called for live rounds to be used against the Yellow Vest "thugs" who "beat up police," such as this former pro heavyweight boxer, 37-year-old Christophe Dettinger who was arrested after squaring off with several French police officers. Ferry - a full time philosopher now, said: "What I don’t understand is that we don’t give the means to the police to put an end to this violence." When challenged with the suggestion that the guns might lead to bloodshed, Ferry said: "So what? Listen, frankly, when you see guys beating up an unfortunate policeman on the floor, that’s when they should use their weapons once and for all! That’s enough."